During the 40 days leading up to the midterm election, clinics across the country, including Mabel Wadsworth Center, will be targeted by a national anti-abortion organization whose sole mission is to end safe and legal abortion. They stand outside clinics, harassing and intimidating providers and attempting to shame their clients. Every morning, we drive by these bullies; when we leave for our lunch break, drive past these bullies again; after a busy day of taking care of people emotionally and physically, drive past these bullies. Our clients, visiting us for birth control, prenatal care, gender-affirming hormone therapy, and for abortion care services will be forced to drive by these bullies and their stigmatizing and hurtful signs. 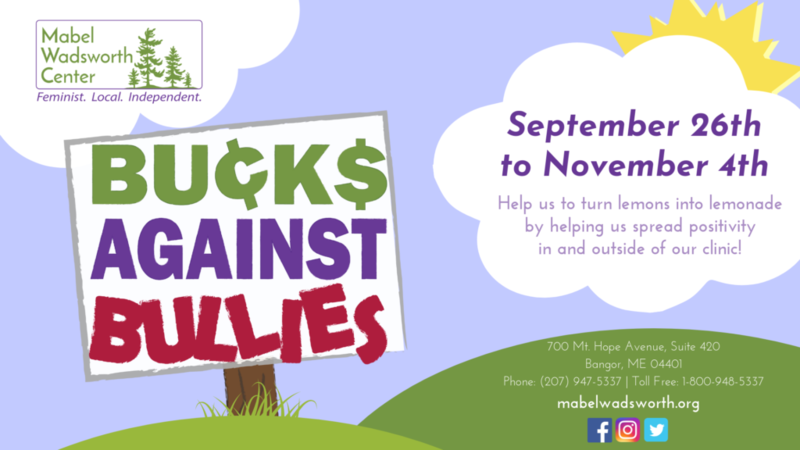 During these 40 days, Mabel Wadsworth Center is turning lemons into lemonade by collecting “Bucks Against Bullies,” and we are asking you to join us by making a donation and/or writing a note of compassion or gratitude to our staff, volunteers, and clients. 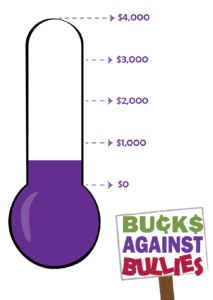 Our goal is to raise $4,000 and collect at least 40 notes. We want to fill our clinic with positivity to counteract the protests. Compassion notes that we receive will be printed and hung up in our waiting room for all to view when they walk in, and some will be randomly chosen for online posting so we can spread the love even further! Funds that we raise from this campaign will go toward the direct services that we provide for our clients. By donating, you are supporting Mabel Wadsworth Center’s mission to provide compassionate reproductive and sexual healthcare for all!